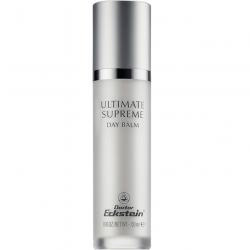 Highly effective anti-aging moisturizer targeted to reduce and prevent fine lines and wrinkles. This silky balm is ideal for day use and suitable for every skin type. Increases hydration to the skin and leaves it feeling smooth and supple. Contains Jasmine Blossom, Hyaluronic Acid, Oligopeptides, Soysterols, Liposomes, Milk Peptide Complex, Echinacea Meristem cell extract, Mica, Titanium Dioxide, Vitamins A & E. Free from mineral oil, silicone oil, parabens and artificial colors. After cleansing and any serum treatments, apply to face and neck with gentle massage. All to absorb completely. Provides a perfect base for cosmetic applications.